During the first weeks of 2015, Bryan Adams visited the island of Mustique in the West Indies. On one of the beaches he noticed the sand had formed abstract black and white patterns from the waves of the Caribbean Sea. He photographed many of the formations, noting in some instances the resemblance between the night sky and the sand. 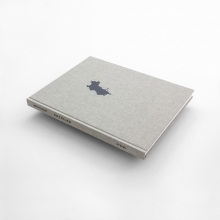 Following his two portraiture volumes Exposed and Wounded, Untitled is a large-format book featuring a series of abstract black-and-white photographs with an introduction on abstraction by Architect John Pawson on the earth’s incredible beauty. 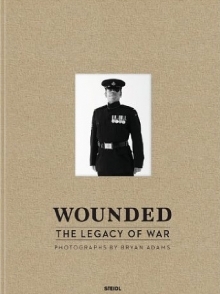 Wounded: The Legacy of War, presents portraits of young British soldiers who have suffered life-changing injury in Iraq and Afghanistan or during training. The lens bares witness to their scars, disability and disfigurement with perhaps unexpected directness. At the same time the images reveal the sheer grit and bravery of the victims who, despite personal sacrifice, live each day with continued vim, vigour and dignity. What we see are portraits of inspiring individuals who whilst not faltering have stood the test of war and lived to tell the tale. The images come with haunting interviews which provide a narrative to each personal journey to recovery. Exposed is a retrospective of Adams’ photography and features portraits of friends and colleagues in the entertainment, fashion and art industries, including Morrissey, Ben Kingsley, Amy Winehouse, Michael Jackson, Louise Bourgeois, Lindsay Lohan and Judi Dench. This book, Adams’ first comprehensive monograph, “exposes” not only unknown facets of his subjects but also the depth of Adams’ photographic faculty. 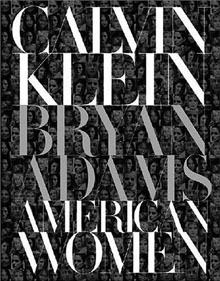 In November 2003, Adams began photographing a cross section of influential American women dressed in Calvin Klein. Shot mainly in New York and Los Angeles throughout 2004, American Women is a tribute to the beauty, strength and character of American women. Actors, journalists, musicians, artists, businesswomen, athletes and philanthropists are included—the binding theme being that they are all American women known for excelling in their field.